Dark, grungy and all about texture… Topshop’s new Autumn/Winter makeup range, Heavy Duty… is set to launch at the end of the month. From ultra-wet looking glossy lips through to slept-in smoky eyes the new collection is a far cry from the high-street store’s Summer offerings. GLOSS: The perfect formula for creating heavy lacquered lips that look dipped in paint. Choose from three deep sultry tones for a full on wash of colour. Shades: Volt, Gloom and Undertone. KOHL DUST: A revolutionary formula that crumbles and smudges to create the perfect smokey eye. Perfect for both top and lower lid, inside and out, the 3D effect is the first of it’s kind. Shade: Ash. 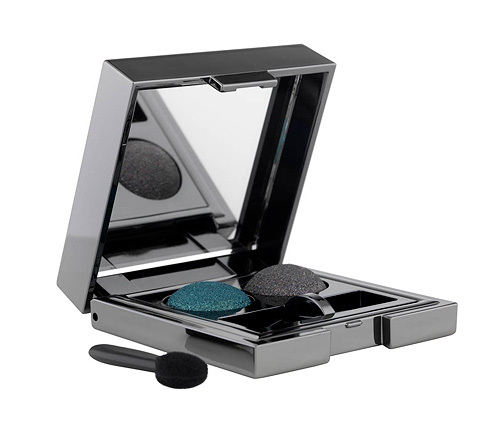 EYE PALETTE: Two beautiful and complementary shades encased in a mirrored palette. Build them up wet and watch the diamond like formula reveal a deep and dramatic finish. Palette Shades: Thunder and Greyscale. CREAM LINERS: With four unique and fashion forward shades to choose from use as a liner, a wash or build up for an intense injection of colour. Applicator included. Shades: Facet, Steely, Etch, Ravine. CRAYON: The ultimate pigmented kohl presented in a chubby crayon for buildable coverage. A choice of two dark and sultry shades that easily smudge for a dramatic and smokey effect. Shades: Graphite and Burnish. MASCARA: High drama lashes in an instant. Lifts, lengthens and defines for buildable volume, perfect for this season’s heavier lash. Shade: Carbon. 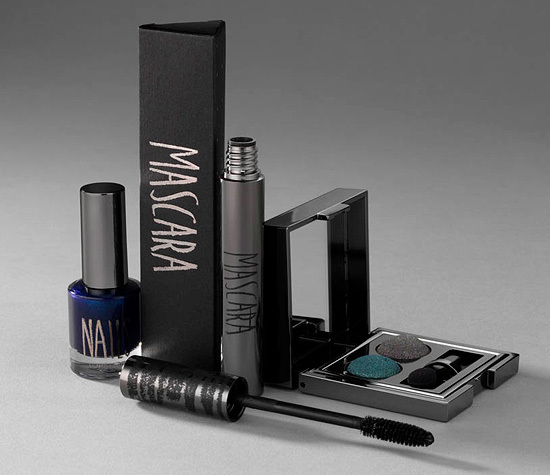 NAILS: A collection of three intense nail lacquers of contrasting and complementing petrol hues. Shades: Metallic Khaki, Iridescent Grey, Metallic Blue. Heavy Duty will be available towards the end of this month instore and online with prices ranging between £6-£10. The metallic blue nail varnish is something I definitely want in my life. I’d be interested in trying the cream liners as well. Liking the sound of the lip marker and then kohl dust. will deffo be checking them out! That lipgloss has really reminded me of a makeup range that superdrug used to sell in the 90’s. Can’t remember for the life of me what it was called though… this might drive me insane! Not tried topshop makeup yet – although am extremely tempted by their nail polish. Currently on anail varnish diet, so so hard! that should be * a nail varnish diet. Anail varnish sounds a bit dirty!! The initial excitement about Topshop makeup has worn off and I can’t see anything I *want* from these.